TWO Mutare illegal fuel dealers were last week each fined $200 for selling diesel and petrol on the black market. Wilbert Shungu and Mountford Sibale were punished after they appeared before Mutare magistrate Perseverance Makala charged with selling petroleum without a licence. Shungu and Sibale will also each spend two months behind bars if they fail to pay the fine. The duo were arrested along with George Muchinjiko, Admire Rakabopa (27), Freddy Charamba (40), whose matter is still pending before the court. Shungu and Sibale admitted to the charges. 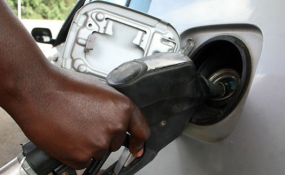 State counsel Mr Matthew Chimutunga said on December 26 detectives received information to the effect that the five were selling fuel along Riverside Road at $2,60 per litre. Police also received information to the effect that Charamba was also selling fuel at Nyika Garage situated along Glasgow Road in Murare's industrial areas.